Interesting that President Donald Trump has moved the bust of Winston Churchill back in the oval office of the White House. 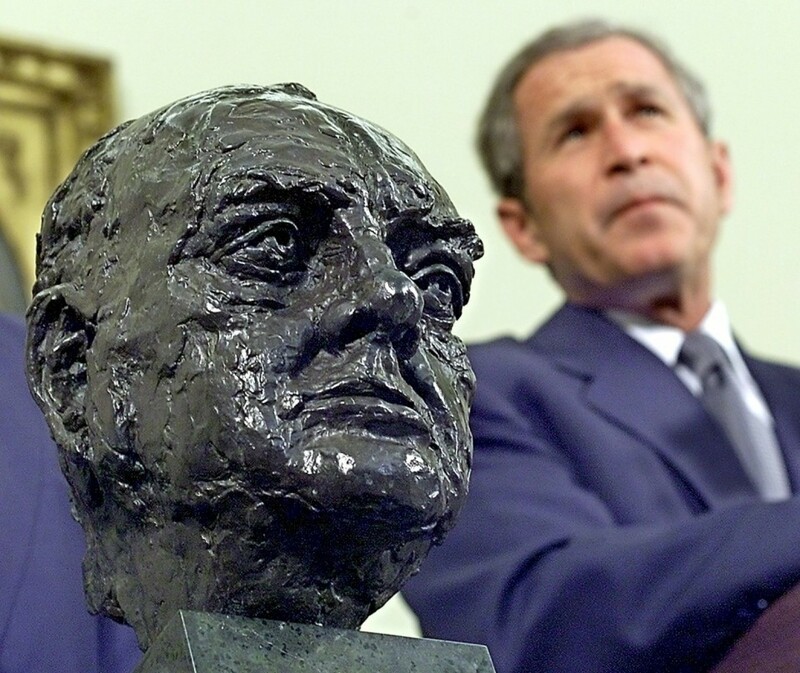 President Obama had removed it for the bust of Martin Luther King JR.
Winston Churchill came from royal stock. If you believe most of the "Bloodline" material out there, Winston Churchill came from the Davidic bloodline (as have most of our presidents including George W Bush). Yes, direct decedents of Jesus the Christ. "I do not understand this squeamishness about the use of gas...I am strongly in favor of using poisoned gas against uncivilized tribes. The moral effect should be so good...and would spread a lively terror." "I do not admit that a great wrong has been done to the Red Indians of America or the black people of Australia...by the fact that a stronger race, a higher-grade race...has come in and taken their place." There is no disputing the fact that Winston Churchill represents racism at its most disturbing root. President George Bush had it in the Oval Office and must have found some kind of reassurance in it as he murdered thousands of people with his "fake" war. Apparently, Donald Trump plans to do the same. Anyway, today it January 25th; on this day in 1965 Winston Churchill passed away.